Famous and feared, Commander John Talbot, Earl of Shrewsbury, falls in battle at a Frenchman’s axe, and with his death ends England’s hold on their neighbor across the Channel. The rout of English forces near Gascony, France, will begin the closing of the epic Hundred Years’ War. The Battle of Castillon was a battle fought on 17 July 1453 in Gascony near the town of Castillon-sur-Dordogne. A decisive French victory, it is considered to mark the end of the Hundred Years’ War. As a result of the battle, the English lost all landholdings in France, except Calais. (1453) France bests England in last battle of Hundred Years’ War. More than two weeks of diplomatic talks begin outside Berlin, Germany, as WWII’s victors decide what to do about the losing side, the devastation wreaked on Europe, and the continuing war with Japan. The Potsdam Conference will be the last time the ‘Big Three’ Allied leaders meet. Animation mogul Walt Disney introduces Disneyland, his new theme park, to a live TV audience and 28,000 people in attendance. Employees will later refer to this day as ‘Black Sunday’ due to technical glitches. Disneyland would open to the public the following day. Leftist Sandinista revolutionaries are one step closer to controlling Nicaragua after General Anastasio Somoza Debayle resigns and flees the country, ending his family’s dictatorial control after 43 years. The Sandinistas will take full power two days later. More than two weeks of diplomatic talks begin outside Berlin, Germany, as WWII's victors decide what to do about the losing side, the devastation wreaked on Europe, and the continuing war with Japan. The Potsdam Conference will be the last time the 'Big Three' Allied leaders meet. 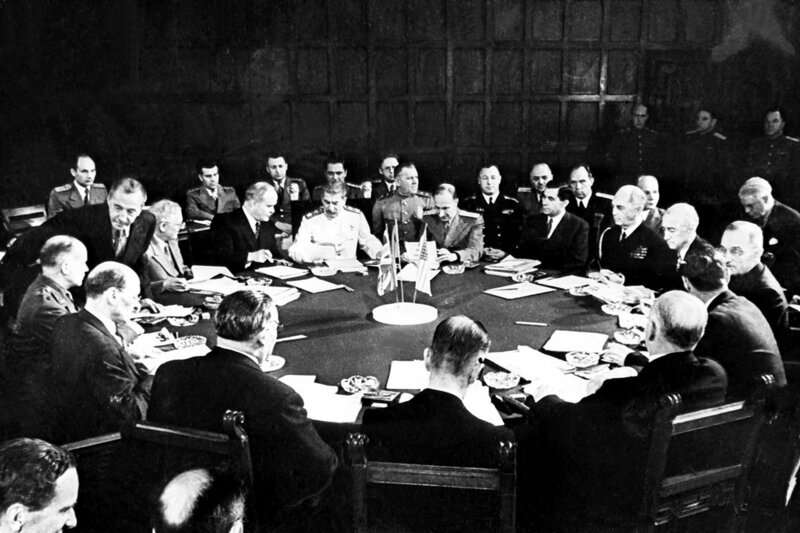 The Potsdam Conference was held at Cecilienhof, the home of Crown Prince Wilhelm, in Potsdam, occupied Germany, from 17 July to 2 August 1945. Participants were the Soviet Union, the United Kingdom, and the United States. The three powers were represented by Communist Party General Secretary Joseph Stalin, Prime Ministers Winston Churchill and, later, Clement Attlee, and President Harry S. Truman.